Spread the message of bird conservation with a set of our best-selling migratory bird stickers! 5 birds are featured, including the Bald Eagle, the Wood Duck, the Great Blue Heron, the Ruby-throated Hummingbird, and Blackburnian Warbler. 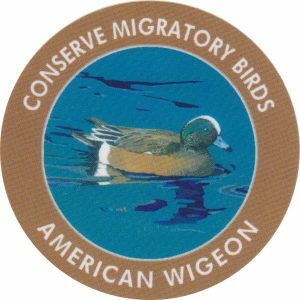 The top of each 2″ sticker reads “Conserve Migratory Birds” while the bottom lists the name of the species pictured. Spread the message of bird conservation with a set of our best-selling migratory bird stickers! 5 birds are featured, including the Bald Eagle, the Wood Duck, the Great Blue Heron, the Ruby-throated Hummingbird, and Blackburnian Warbler. 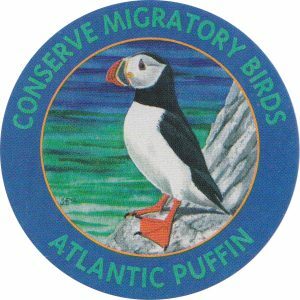 The top of each sticker reads “Conserve Migratory Birds” while the bottom lists the name of the species pictured.